In 2451 the Kalaxi Consortium of Ceres purchased the rights to repurchase and refurbish Sentinel class combat frigates that were being retired from service. 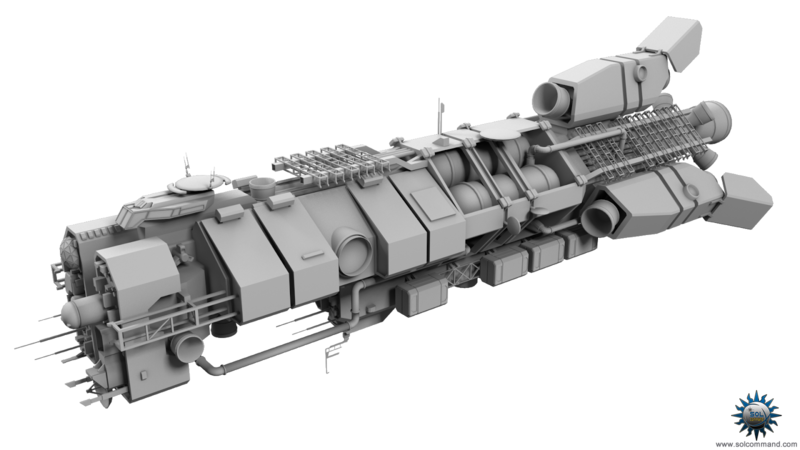 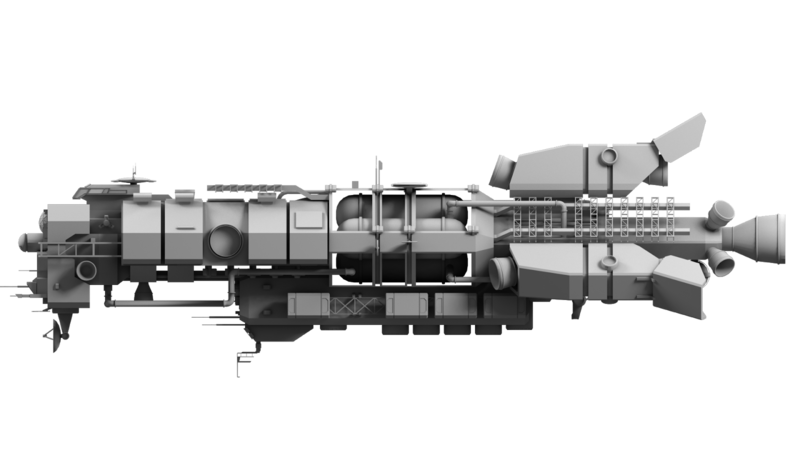 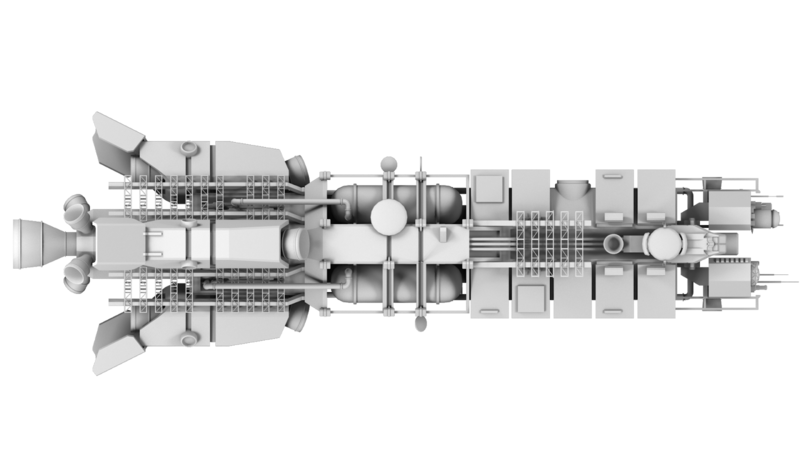 In the name of "de-militarizing" the design, the armor plating was removed, as were most of the primary weapons, though the weapon port mountings remained, a fact that pirates from Concordia have notoriously taken advantage of by re-mounting black market HED lances. 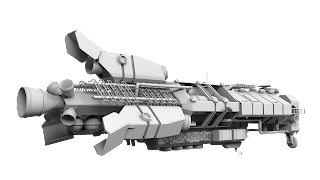 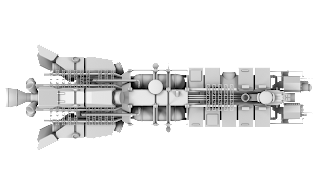 The new design was named Helios civilian frigate and it has proliferated as a popular cheap frigate sold, re-sold, re-furbished, re-built, modified, altered, and otherwise utilized in dozens of roles its original designers never intended. 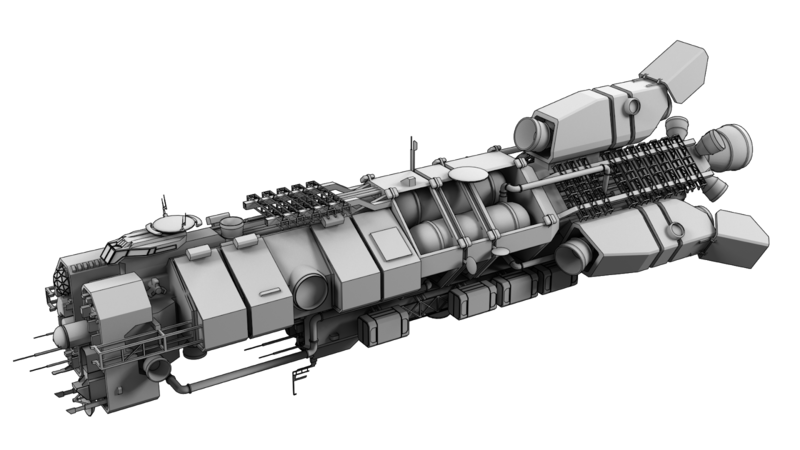 It is currently among the most common frigate classes in production. 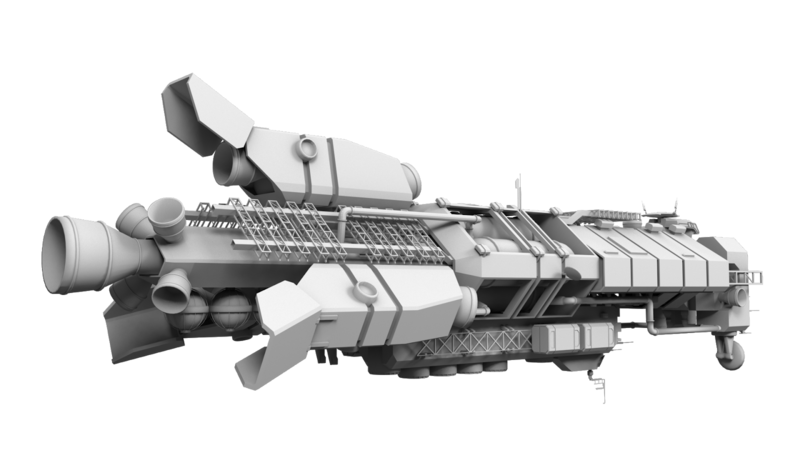 This free 3D model has a triangle count of 97.488. Download it from the provided servers.